Hi there! 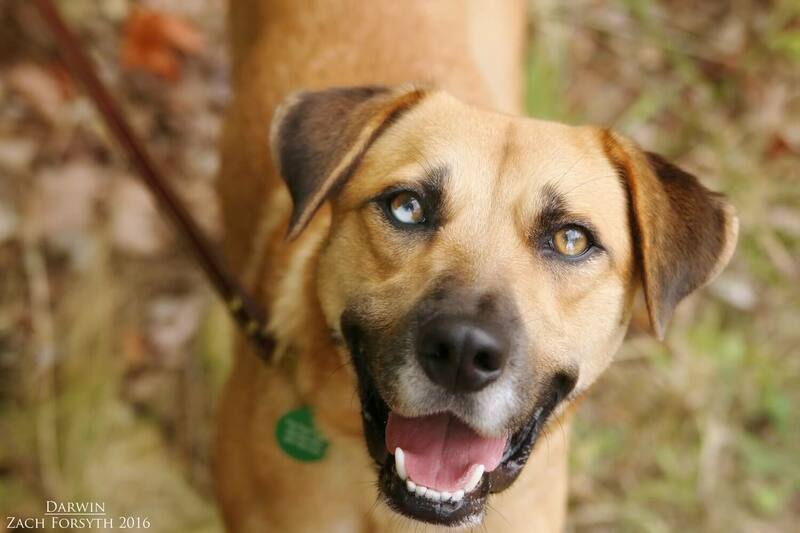 My name is Darwin and I am a handsome 1 year old, 45 lb Ridgeback mix! Just like the scientist for which I am named, I am inquisitive and always on the look out for new discoveries! I have a great medium energy and would love to go for daily walks or have some ball time in the yard! I am very affectionate and would love to curl on the couch with you after a long day of discovery. I am still getting used to the city life and would enjoy a low key atmosphere with kids over the age of 14, and lots of space in a home owned by my adopters. My foster mom says I am doing great with their cat! Dogs are fun too and I would prefer to be with one as chill as me, as dog parks and puppy energy can be a little overwhelming for me. Overall, I am a handsome, fun, and inquisitive guy ready to learn more about the world! Are you ready to discover how much your world would be better with me in it?! Then fill out an application, so we can meet and see how my cute face is all the evidence you need! I come to you neutered, vaccinated, and micro-chipped with an adoption fee of $300.